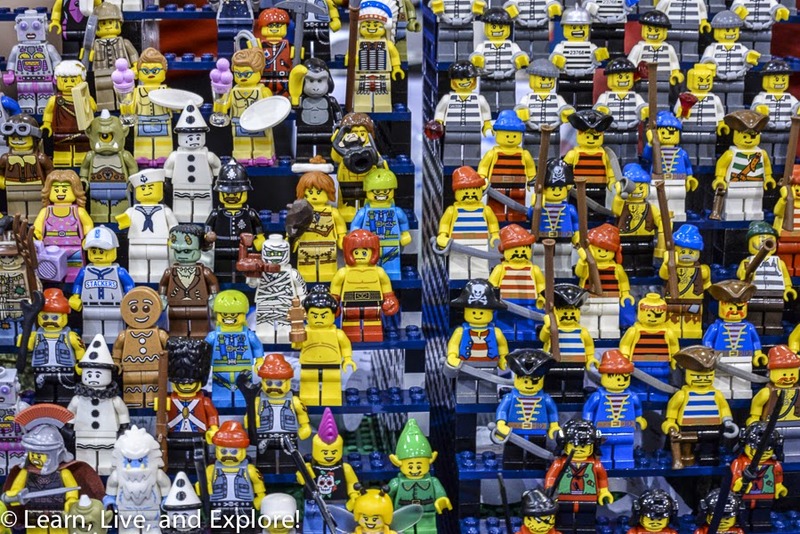 Brickfair...Hello Fellow Lego Nerds! ~ Learn, Live, and Explore! I know I've not been posting as frequently these past few weeks. It's mostly because we have had some wonderful, abnormally non-humid weather here in Washington, D.C., and I have been taking advantage and enjoying outdoor summertime activities. In addition, I kind of got myself into a little commitment that I will probably regret, that being entering myself into a marathon having never run more than half that distance before, so sadly summer hours are being wasted on training. On top of all that, I was temporarily without my primary camera for about two weeks because of a recurring sensor issue that had to be addressed by the manufacturer. But now it's back and ready to add to the click count! So, refreshed with camera in hand, it's time to start writing more posts! 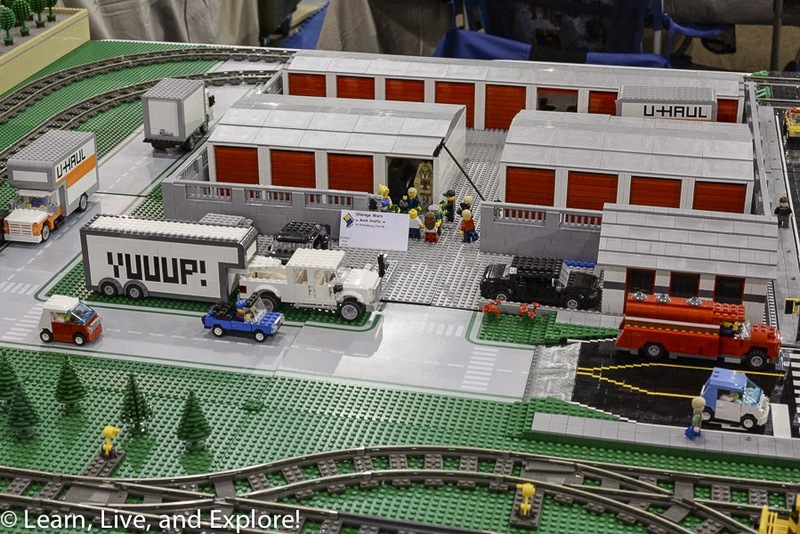 First up: what I was up to last weekend...admiring some amazing Lego builds at the Brickfair convention in Dulles, VA! 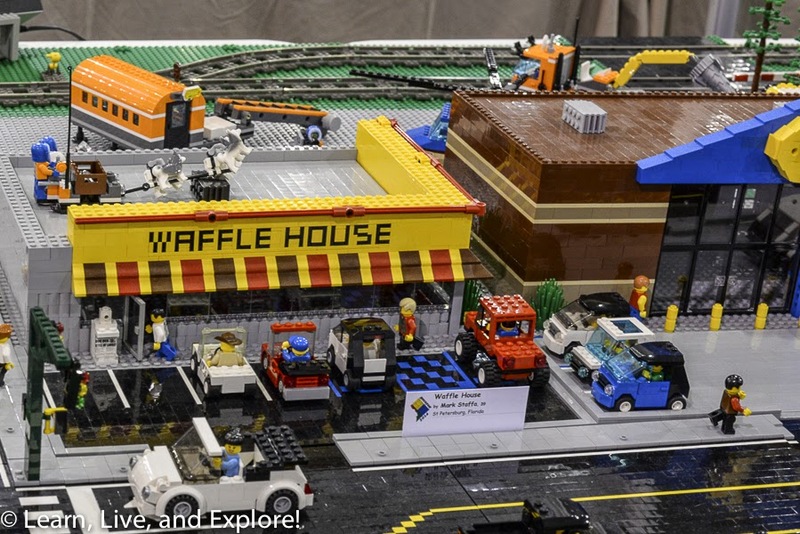 Look at some of the city scapes that people built, including a Waffle House (next to a Best Buy), an apparent medical emergency at a Starbucks or a caffeine run by the EMS team, an Embassy Suites hotel, and a scene from the TV show "Storage Wars." 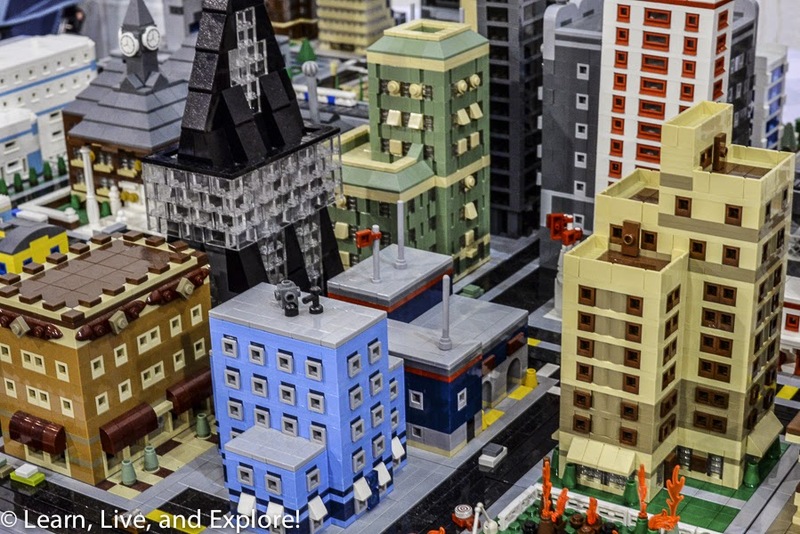 Lego builders are very clever folk! They were even showing the Lego Movie at the Lego drive-in theater. And it was a special discount day at the ballpark for the Star Wars stormtroopers, cheering on "dem" Yankees. 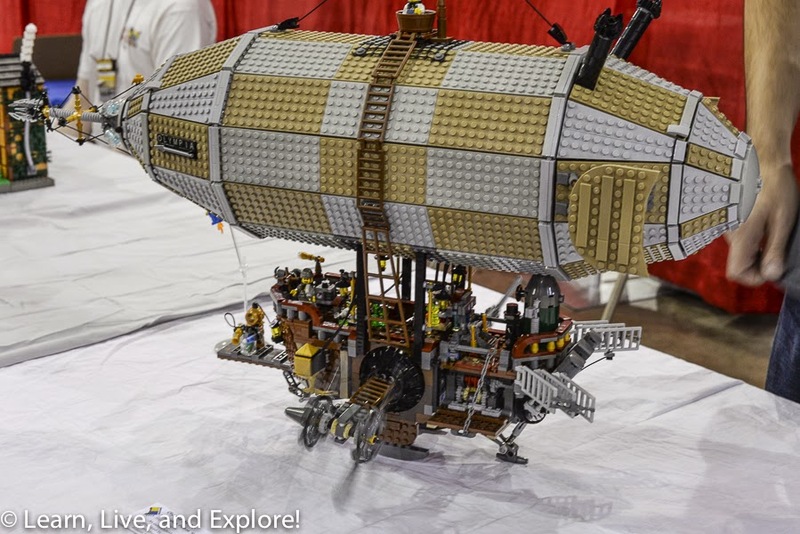 I appreciated the details that went into the mechanics of a motorized steampunk blimp, with propellers that not only spun but could be rotated using a lever to simulate an ascent. Obviously, it didn't fly. 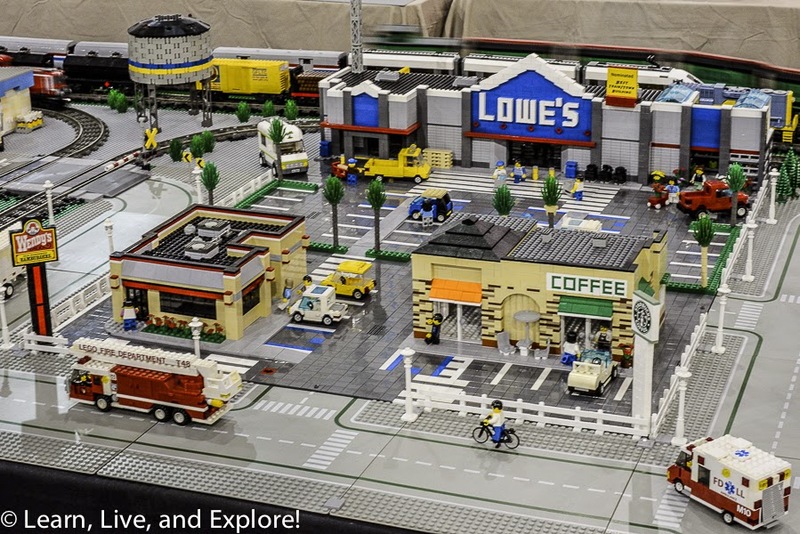 Then, of course, there was the section dedicated to the teeny tiny micro cityscapes, in which my nephew has started to dabble. 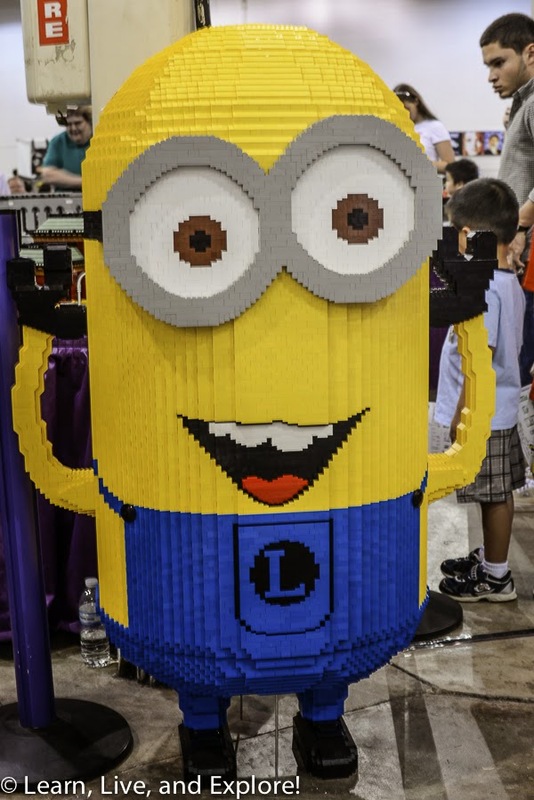 And, finally, who could resist giving a hug to this life sized minion??!! 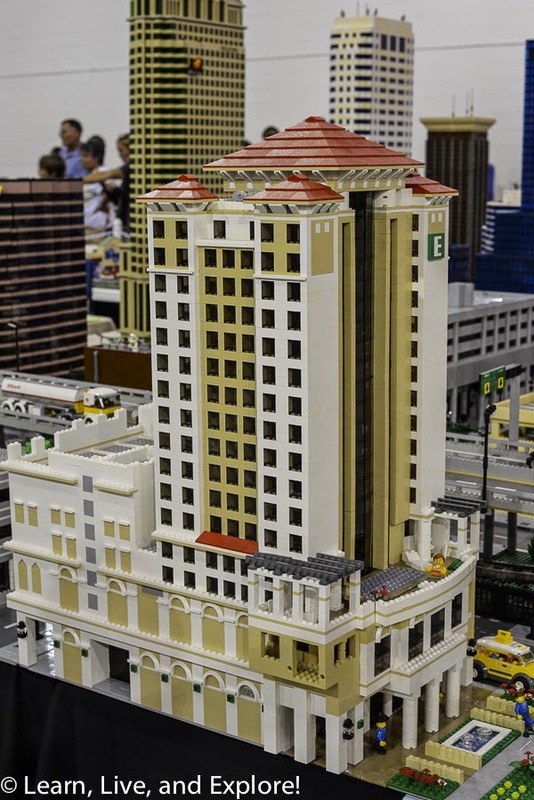 The convention is an annual 2-day event held one weekend in the summer. I am assuming that the popularity of the Lego Movie this year was one of the causes behind the abnormally long waiting lines. We waited about 80 minutes to get into the building because they were at capacity and only letting people in when others exited, and since the expo was so interesting, no one was leaving! But, it was worth the wait, and I'm glad I got to experience it at least once. 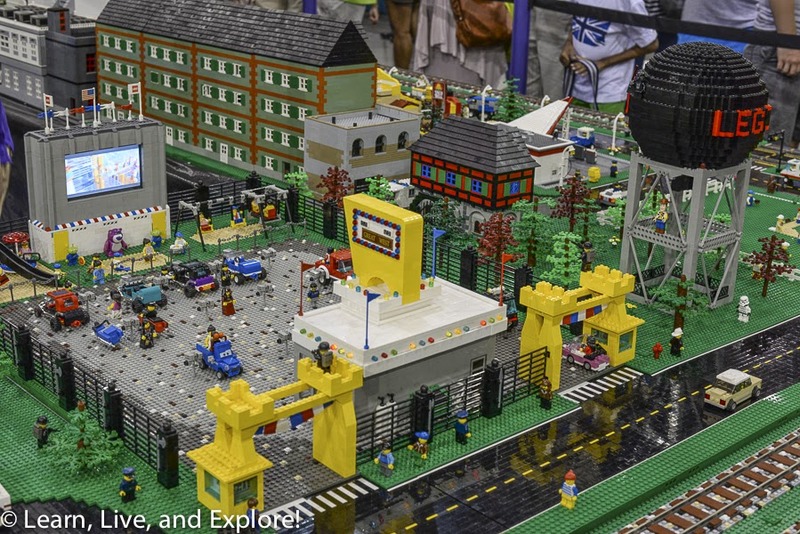 It was also a great activity for kids, regardless of age or level of interest in the Lego displays, with a large brick building play area and, of course, a Lego bounce house. 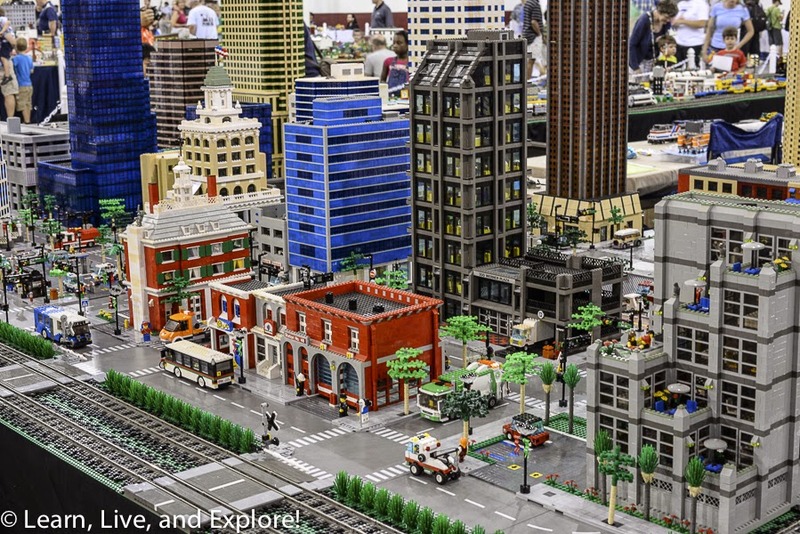 My advice, if you live in the cities on the Brickfair tour, purchase your tickets in advance and arrive early. Happy 3rd Anniversary to LL&E!! !